In 2008, more than 8.5 million people were injured in slip-and-fall accidents. * Slip-and-fall accidents are when a person is injured due to tripping, slipping or falling on someone else’s property. The resulting injuries in these cases can range from minor scrapes to catastrophic injuries such as spinal cord damage. Property owners are responsible for maintaining safe premises and for warning visitors of hazards that the visitor may not be aware of under the given circumstances. If the property owner fails to warn visitors of existing conditions / situations and an injury occurs, the owner may be liable. 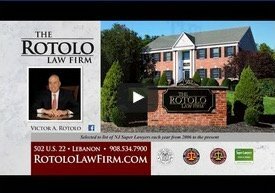 If you have been the victim of a slip-and-fall accident, call Rotolo Karch Law. 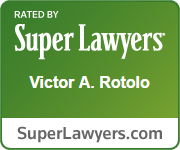 Victor Rotolo, Steven Karch and the Firm's attorneys are experienced in these matters. Slip-and-fall accidents can occur indoors or outdoors or on public or private property because of dangerous conditions that present an unreasonable risk to someone visiting the property. In the event of a slip-and-fall accident, it is important to determine whether or not you were injured because of someone else’s actions or because of someone else not taking action that he/she had the responsibility to take. You need to know if the property owner acted with care to avoid the possibility of falls and if the owner was aware that a dangerous condition existed. While you should be aware of any obvious dangers under any circumstance, in a slip-and-fall case the victim would not be able to anticipate the condition that caused the fall would exist. It must be the property owner’s negligence and not the victim’s that caused the accident. The property owner may be liable if the fact that the owner created the condition can be proven, if the owner was aware of the existence of the condition and yet neglected or failed to correct it, and if the condition existed for a prior period of time that allowed the situation to be corrected before the accident occurred. In short the owner must be shown to have created the dangerous condition due to negligence. 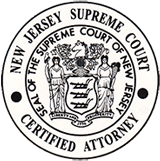 Proving that an owner violated relevant statutes, such as building codes, can also demonstrate negligence. 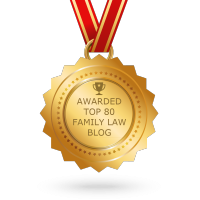 In many cases, deciding who is legally responsible is determined by common sense and whether or not the owner was reasonable in safely securing the property. Slip-and-fall accidents occur frequently and can be very serious and damaging to the victim. If you or a loved one has slipped, tripped or fallen resulting in injury and you are not the responsible party, you may be eligible for compensation and damages.